Amy Grant is truly a daughter of Nashville, she was actually born in Augusta, Georgia in 1960. Like a Hollywood story, Amy's break into music came while she worked part-time sweeping floors and demagnetizing tapes in a Nashville studio. Few adults can look back on their lives and say that they never strayed from the first job they had as a teenager. Even fewer knew their life calling at such a young age and can say they are still passionate about what they do over 25 years down the road. Amy Grant is one of these rare, blessed individuals. Producer Brown Bannister, allowed Amy to use the studio to duplicate a tape of her original songs that she wanted to give to her family. A Word Records company producer heard the music felt he had just "found it" and played the tape over the phone for his company executives. Signed as a 15-year-old, Grant released a series of albums in the late 70s/early 80s that helped invent the Contemporary Christian genre. 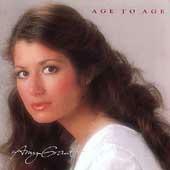 Amy's first album, the aptly named, AMY GRANT. From the first time Amy Grant picked up a guitar as a teenager and sang for her school friends, to the albums Amy recorded that have racked up multiplatinum awards. One of Grant's first performances was at a chapel service for her fellow students. The event was pivotal for Amy, it unveiled not only a musical talent, but a true gift of connecting with her peers. The year 1982 saw the release of what was to become Amy's signature album, AGE TO AGE. AGE TO AGE won Amy her first Dove Awards including Contemporary album of the Year and Artist of the Year, plus a Grammy win for Best Gospel Performance. "Find a Way," found its way onto mainstream radio and even birthed a video for MTV. The album charted in Billboard and Amy made her way through the maze of national publicity opportunities, including morning television talk shows, late night talk shows, afternoon entertainment shows, and a host of specials, including her own CBS Christmas outing. Innumerable first-for-a-Christian-artist landmarks followed as did her crossover pop stardom beginning with her 1986 duet with Peter Cetera "The Next Time I Fall" (#1 pop/#1 AC). The first "best of" collection from Amy Grant to span her pop career, Greatest Hits 1986-2004 (A&M/UTV/UMe), was released October 12, 2004. "Saved By Love" (Top 40 AC) and "Lead Me On" are culled from her gold 1988 album Lead Me On, which won the fifth of her five Grammys. 1991's Heart In Motion, Amy's first Top 10 pop album and at five times platinum her biggest seller. Three years later, life became very different for Amy Grant. Her 15th album, BEHIND THE EYES Fans noticed and critics noted the "darker side" of Amy Grant and her music and soon the news of an impending divorce brought context to the brooding lyrics and music. Amy did not enter the studio or hit the road again for two years. It was in 1999 that Amy tapped into her other talents and took a turn at television. She not only hosted her own prime-time network television Christmas special, CHRISTMAS TO REMEMBER, but she starred in the made-for-TV movie, A SONG FROM THE HEART. They say the third time's the charm, but for Amy Grant, the release of her third collection of Christmas music, CHRISTMAS TO REMEMBER, in 1999 was really just the continuation of an already grand tradition. 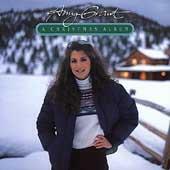 Amy first stepped into the seasonal spotlight back in 1983 with the release of A Christmas album, a holiday offering that birthed her now classic and signature song, "TENNESSEE CHRISTMAS." Seven years later, Amy did it again with HOME FOR CHRISTMAS, a Yuletide ride that put another classic into everyone's holiday repertoire: the haunting and elegant "Breath of Heaven." A 2002 release, LEGACY HYMNS & FAITH, brings Amy Grant both in her music and her faith back to her roots. A cover of 10cc's "The Things We Do For Love" (#24 AC) from the soundtrack to MR. WRONG (1996). It began in the summer of 2000, when Amy and her husband Vince Gill left Nashville with producer Keith Thomas and a few co-writers for a week in Destin, Florida. In a house just steps from the shore, they'd pair off after breakfast and write songs together. Then, as evening neared, they'd gather, compare notes, share quiet as well as festive moments. So says Amy Grant, whose new A&M/Word release Simple Things (2003) was three full years in the making. Was it worth the wait? You bet. Emotional, honest songs, glistening productions, arrangements that sweep through fields of strings and settle into a nest of solo acoustic guitar -- every detail of her seventeenth album exceeds the singer's standards, which are as high as standards come in this business. But something beyond the music gives Simple Things its real meaning. The story behind its creation reflects elements of Amy's life at a critical stage -- elements of both shadow and light, uncertainty and conviction, and above all love and its endurance. Simple Things was born from love, during a memorable week with family and friends. It comes to the world now on wings of love, from a place of warmth and resolution, now that the process is done. Between these milestones, though, the going wasn't always easy, thanks to changes in and beyond Amy's world. These transitions would inspire some of the most personal material on Simple Things, including "Out in the Open" and "Innocence Lost," one of only two songs on the album that Amy didn't write. "But a big part of that lyric captures what I was feeling," she says, "about how part of living involves losing your innocence. And 'Out in the Open' is about freedom from shame and forgiving yourself. To me, they're both very emotional songs about that period." In the perspective that took form after September 11, a new meaning emerged as Amy Grant and Wayne worked on the song. "The words 'all I know is now' came from the uncertainty we felt," she says. "It's like when you're sitting in a waiting room at the hospital: Nothing exists except for that moment you're in. It might not be over 9/11, but we've all felt that odd way that life and tragedy bring people together." Which brings Simple Things into full circle. From the personal to the global, from the playfulness of "Happy" through the impassioned duet shared by Amy and Vince on "Beautiful," Simple Things is perhaps the most intimate glimpse ever offered into the heart of this artist. With tracks brilliantly produced by Keith Thomas, Brown Banister, and Wayne Kirkpatrick, this music seems to rush through storms and sunlight before coming to rest in "After the Fire," a summary of all that we've experienced on our own and heard on this disc -- simple, soft, and quietly triumphant. 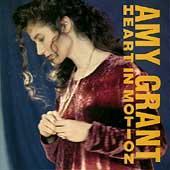 Amy Grant's 19th project is a collection of her greatest, most loved hits from albums since The Collection (released in 1986). Amy Grant's greatest hits collection contains songs encompassing both Christian and mainstream pop hits that explore our faith in God as well as our relationships with one another.